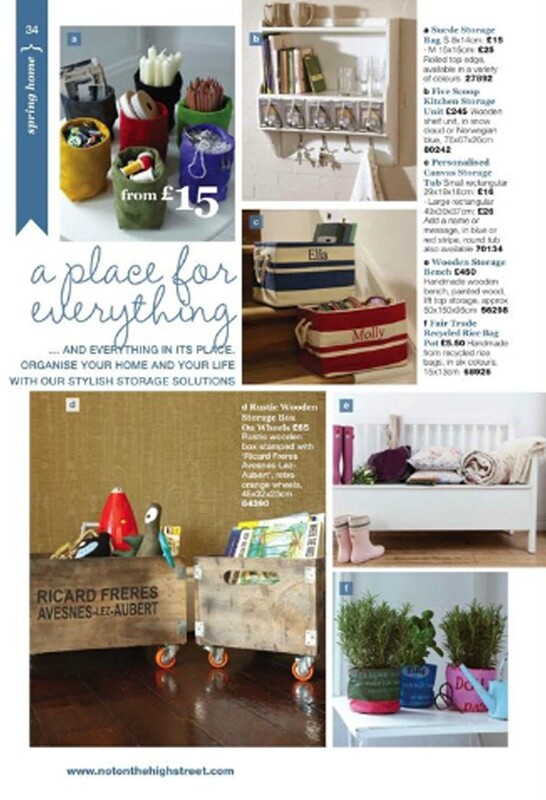 The Not On The High Street.com spring catalogue has sprung, so to speak! I have my Small Suede Storage Bags featured, and if you have been reading about my ‘Work It Wednesdays’ you will see that I have been busy making up stock for the anticipated sales! Below is ‘my’ page in the catalogue – looks nice hey? I’ve not got an actual copy of the catalogue yet but will certainly be having a good browse as soon as it arrives. If you’d like a copy of the catalogue you can request one here.